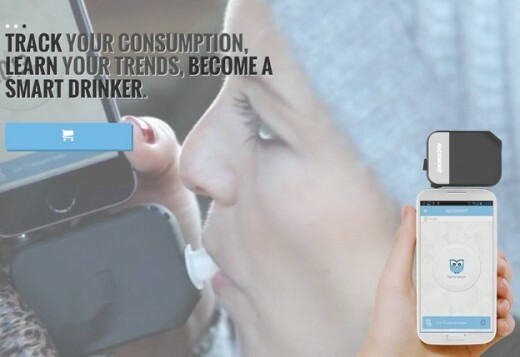 Alcohoot Smartphone Breathalyzer will allow accurate measurement of the amount of alcohol in the blood. Or vice versa. Since it is the holiday season, during which many drivers will be facing with alcohol challenges , the company Alcohoot LLC bother to bring new gadget to market just in time to save many of the fines , arrests and other fatal consequences of drinking . Although the device will be priced at not insignificant $119 , the manufacturer claims that it is significantly more accurate than existing gadgets for similar purposes , such as Breathometera , which costs $49 . They say it is reliable and accurate as the best police breathalyzer , which of course now we can not check but we will try in the furure. In addition , Ben Biron , cofounder of Alcohoot , claims how unlike all other devices of this type, their device have lifetime warranty . In fact , every year will be an opportunity to exchange old for new device , which will cost you $30 . The device works with Android and iOS phones and application which you’ll get along with him , besides analyzing your breath , brings the restaurants to which you can walk on foot , taxi services in one click , and charting your drinking habits , from which you will be able to see how often you are drinking , where and when you drink the most , and there’s all sorts of alarm to remind you that it’s time to move on mineral water or to leave your car where you parked it.